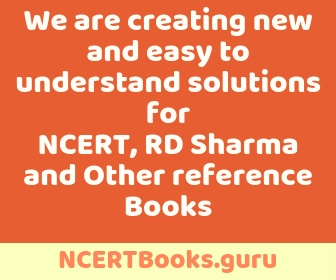 NCERT Exemplar Books will help students to gain excellence in the subject. Various questions from NCERT books are asked in Entrance Examinations, such as JEE Main, JEE Advanced, AIIMS, etc. These books prepare students to face the competition. The concepts given in NCERT Exemplar Books are to the point and described well. There are various types of questions present in the books. Solving all the questions will help the students to know their weak points and focus on that area well. Moreover, NCERT Exemplar Books follow CBSE Pattern, so students of CBSE Board will benefit a lot from these books. NCERT Exemplar Books follow CBSE Syllabus, so students should be well-versed with that. NCERT Exemplar Book Class 11 Chemistry is marked as one of the recommended study guides by the students who are appearing/have appeared their 10+2 Board Exam. This book provides new topics, which has been specifically added for competitive exams like NEET, JEE, etc. For instance, starting from the structure of atoms to Organic and Inorganic Chemistry, this book covers every chapter that a student can ask for. In addition, it consists of many varied types of questions and their answers, with increasing difficulty levels to make a student more versatile in their problem-solving skill. 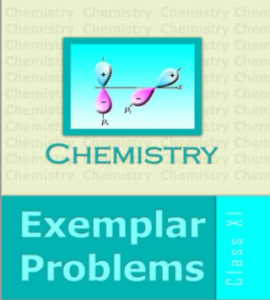 Each chapter in NCERT Exemplar Book Class 11 Chemistry consists of various objective and subjective problems. Questions are in different forms and formats like Multiple Choice Questions, Short Answer Question and Long Answer Question with various levels of difficulty. In standard 11, many new chapters and topics are added in every curriculum, which, in turn, is extended in standard 12. NCERT Exemplar Book Class 11 Chemistry has put forward unique methods of solving chemical equations, therefore, allowing students to learn different techniques. NCERT Exemplar Book Class 11 Chemistry contains 14 chapters in accordance with CBSE Syllabus. Each chapter is broken down into segments, thereby, helping the students for a part by part analysis. To score good marks, students are advised to solve every question. In other words, they should follow the chapter-wise pattern and solve the questions accordingly. The chapter-wise questions for NCERT Exemplar Book Class 11 Chemistry are given below. Click on the link directly to download the solution of the respective chapter from NCERT Exemplar Book Class 11 Chemistry. In case of any query, do comment and we will get back to you!